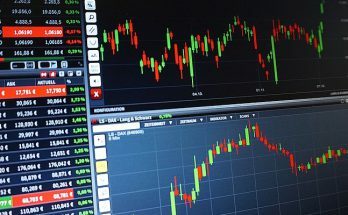 The Australian sharemarket has kicked off the holiday shortened week in positive territory, helped by a rally in the energy sector and strong gains in financial, retail and IT stocks. The ASX 200 (XJO) closed up 59 points or 1% to 6,319 – breaking through the 6,300 mark for the first time since early September. The Australian sharemarket has stumbled on Wednesday with the ASX 200 easing 21 points or 0.3% to 6256. Materials contributed most to losses with iron ore miners falling heavily. Fortescue Metals (FMG) slid 8.5% while Rio Tinto (RIO) fell 4.7%. Local shares have started the holiday shortened week unchanged on light trade volumes. The ASX 200 was steady at 6251 with gains for financials, consumer staples and energy offsetting losses in materials, health and utilities. The Australian sharemarket is rebounding from yesterday’s losses and is firmly in positive territory on Friday. The ASX 200 is lifting around 38 points or 0.6% to 6238 at lunch. 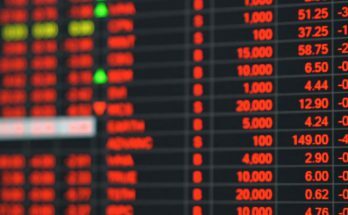 The local sharemarket has ended Thursday lower, following Asian markets in the red. The ASX 200 fell 25 points or 0.4% to 6198 with banks and miners weighing most. Bank of Queensland (BOQ) fell 4.9% as it disappointed the market with its half year earnings results. The Australian sharemarket has bounced off this morning’s lows, with the ASX 200 flat at lunch. Crown Resorts (CWN) is down by close to 10% after Wynn Resorts ended takeover talks with the casino operator. The local sharemarket is a touch weaker at lunchtime with the ASX 200 easing 2pts to 6219. Financials have been the main weight with the major banks all in negative territory. Energy names continue to receive a boost from climbing oil prices. 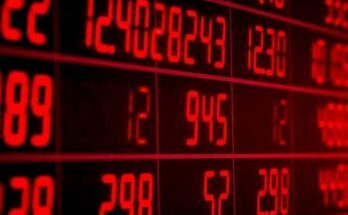 The local sharemarket has snapped a seven session winning streak on Thursday with the ASX 200 closing 52 points or 0.83% lower to 6232.8 despite optimism over US-China trade talks. Almost every sector was in reverse with only the tech sector outperforming and closing flat. Banks, miners and health stocks weighed the most. The local sharemarket started the new trading week, month & quarter in an encouraging manner, helped by optimism in relation to China US trade & better economic news. The ASX 200 closed up 36 points or 0.6% to 6217. It has been another softer start to the Aussie market with the ASX 200 easing 10 points to 6126 near lunch with little optimism from US markets. Financials & healthcare names are among the main weights while miners are countering some of the losses. The ASX 200 has recovered from a 30 point slide at lunch to end the day higher by 5pts or 0.09% to 6,136. The improvement was led by a turnaround in the financials and materials which were both among the main drags earlier in the session. The local sharemarket is treading water in the opening hours of trade following a sharp decline yesterday on global growth fears. The ASX 200 is steady around 6,125 on choppy trade with energy, consumer discretionary and financials the main laggards while materials and property trusts are outperforming. 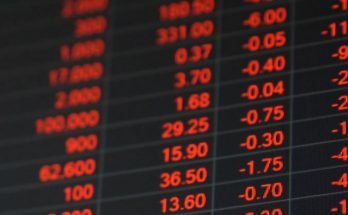 The Australian sharemarket has fallen to its second heaviest loss in 2019 so far with the ASX 200 shedding 69 points or 1.1% to 6126. Markets here and abroad were spooked by fresh concerns of slowing global economic growth. Most sectors were in the red with energy, tech and financials leading the declines. It was a solid finish to the week for local shares with the ASX 200 climbing 28 points or 0.45% to 6195. Despite easing from earlier highs, the index had its best daily performance in over a fortnight. Banks, tech and healthcare stocks lifted the market most while miners underperformed with a 30% slide in gold miner St Barbara (SBM). The local sharemarket fell for a second day on Wednesday with participants opting for caution in the face of media reports suggesting progress in China-US trade negotiations have been stymied with the Chinese unwilling to yield to US demands. The ASX 200 ended 19 points softer to 6,165. 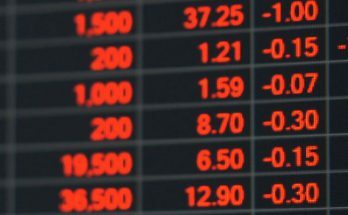 The local sharemarket has again seesawed in and out of negative territory, held back by losses in the Financial, IT, Healthcare and Energy sectors. Miners extended yesterday’s strong gains, buoyed by further strength in the price of iron ore.
It’s been a fairly subdued start to the new trading week, with the market dipping in & out of negative territory, before finishing higher. Gains in the Materials, Energy, IT & Healthcare sectors offset weakness from banking, telco & utilities stocks. Friday saw another lacklustre session for local shares with little to push the market higher or lower. The ASX 200 fell 4 points to 6175 and fell to its first weekly loss in a month. Despite the majority of sectors improving, banks & miners weighed on the broader market. The local sharemarket has finished a choppy session higher, boosted by gains in the Energy, Materials and IT sectors. The market had been under pressure for most of the afternoon, however managed to claw back gains as the Financial sector improved. The ASX 200 closed up 18 points or 0.3% to 6,179. It’s been a choppy start for the local market on Thursday with the ASX 200 mostly flat around 6,160 towards lunch. An uplift in the miners and energy producers isn’t enough to offset losses for the broader market, with banks & CSL the main weights. 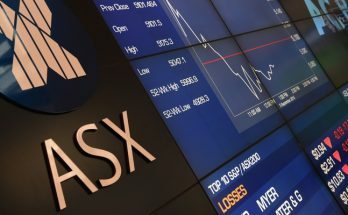 The Aussie market has been unable to maintain early positive momentum with the ASX 200 closing 5 points or 0.1% weaker to 6175 after being around 40 points higher at the open. Financials were the main drag with the big four banks all lower, ANZ leading the losses falling 1.2%. The local market has suffered one of its biggest losses in 2019 so far on fresh global economic growth concerns. The ASX 200 fell 60 points to 6,204 with the major banks and miners dragging the market lower. The Aussie market has now improved for six of the last seven sessions with the ASX 200 gaining another 18 points or 0.3% to 6263.9 and hitting 6-month highs. Miners lagged with Rio Tinto (RIO), BHP Group (BHP) and South32 all trading ex-dividend. 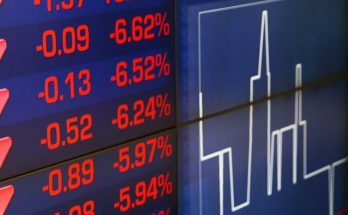 The local sharemarket has climbed for the fifth day in the last six sessions with the ASX 200 up 46 points or 0.75% to 6245. The highly anticipated GDP growth figures came in worse than expected. Materials were among the most improved while retailers were boosted by Myer’s (MYR) first half profit result. The Aussie market is off to an impressive start to the week, with the ASX 200 lifting for a fourth straight session by 24 points or 0.4% to 6217. Markets have been boosted by media reports that the US and China are close to a trade deal. The IT, consumer and health sectors were the most improved while gold miners and other defensive names were weaker. The Aussie market has followed on from last month’s gains with the ASX 200 lifting 23 points or 0.38% to 6192.7. At its best the index broke through 6,200 points for the first time since late September 2018. Local shares have rebounded from yesterday’s losses with the ASX 200 improving by 25 points or 0.4% to 6154. Financials are among the most improved with the four major banks all higher while communications are lagging. 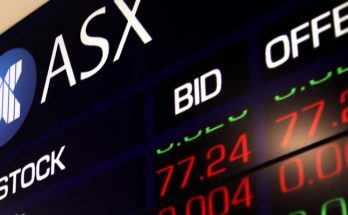 The local sharemarket has snapped a three-session winning streak with the ASX 200 tumbling 58 points or 0.94% to 6128. 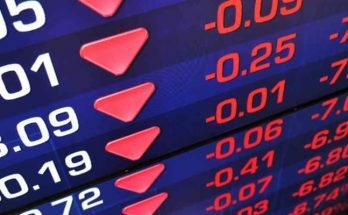 All sectors ended the day in negative territory with losses exacerbated by a number of companies trading ex-dividend, most notably Wesfarmers (WES) which fell 7%. The Aussie market has swung between gains and losses on Monday with the ASX 200 settling the day 19 points or 0.3% higher to 6186. Shares rose on trade hopes and was supported by improvements for financials and IT stocks. The local sharemarket is off to a bright start, lifting 18 points to 6185 around lunch on positive trade news that the US will delay the March 1 deadline to hike tariffs for Chinese imports. IT stocks are outperforming with big moves for Appen (APX) and Afterpay Touch (APT). The ASX 200 gained 0.7% on Thursday, helped by strong gains in the financial, telco and consumer discretionary sectors. 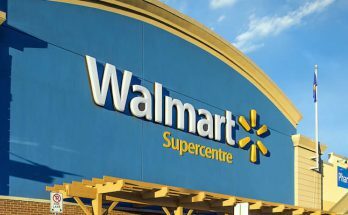 US sharemarkets were higher on Tuesday, underpinned by gains in bellwether stocks – WalMart and Amazon. Shares in WalMart rose 3.1% after holiday-quarter comparable sales beat estimates. With an hour of trade to go the Dow Jones index was up 0.2%. Aussie shares are off to a positive start to the new trading week with US-China trade optimism lifting global markets. The ASX 200 rose 24 points or 0.4% to 6089.8. The Australian sharemarket has managed to edge higher on Friday with the ASX 200 up 6 point to 6066. Over the week, the index fell 5 points with the muted trade amid US-China trade negotiations and mixed earnings results. It has been a choppy start to Thursday trade with the ASX 200 edging higher by 8 points to 6071 towards lunch. It has been a big day on the reporting front with a host of companies announcing half or full-year results. 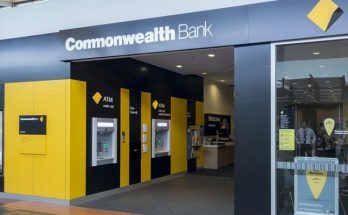 The local sharemarket has faded after early gains with Commonwealth Bank (CBA) and CSL Ltd (CSL) the main weights. The ASX 200 fell 15 points or 0.25% to 6063 on a day where earnings results saw big moves for stocks. The Aussie market is picking up from a flat start with the ASX 200 30 points or 0.5% higher. The financials and healthcare sectors are driving gains. 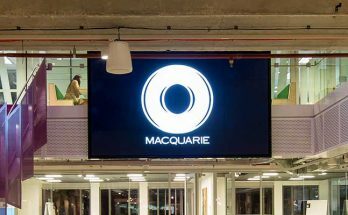 Macquarie Group (MQG) is climbing ~3% as it expects to lift annual profit by 15% for the full year. The heavyweight financials have dragged the Aussie market lower with the ASX 200 sliding 11 points or 0.2% to 6060.8. The major lenders all fell more than 1% with Bendigo & Adelaide sliding 6.8% on its HY19 earnings. The Australian sharemarket has extended gains for a 4th straight day with the ASX 200 climbing 66 points to 6092.5. Financials were the main driver of improvements while there was also plenty of movement from companies releasing earnings results.